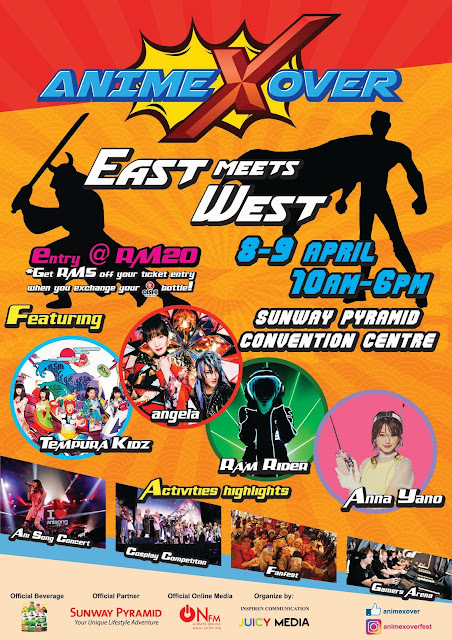 Get ready for one of the largest anime event of the year as AnimeXover (pronounced as Anime Crossover) is coming your way on 8 and 9 April 2017 at Sunway Pyramid Convention Centre! With the theme “East meets West”, the two-day event is lined-up with plenty of exciting activities such as Ani Song Concert featuring renowned Jpop acts, e-Sports Competition, Cosplay Competition, Animation Character Figures Exhibition, and more. The Ani Song Concert which is one of the main highlights of the event is set to feature Japanese pop duo angela, a familiar name in the anime world known for having their music portrayed as theme songs for several famous anime series such as “Soukyuu no Fafner”, “Asura Cyin’”, “K” series, “Shikabane Hime” and others. 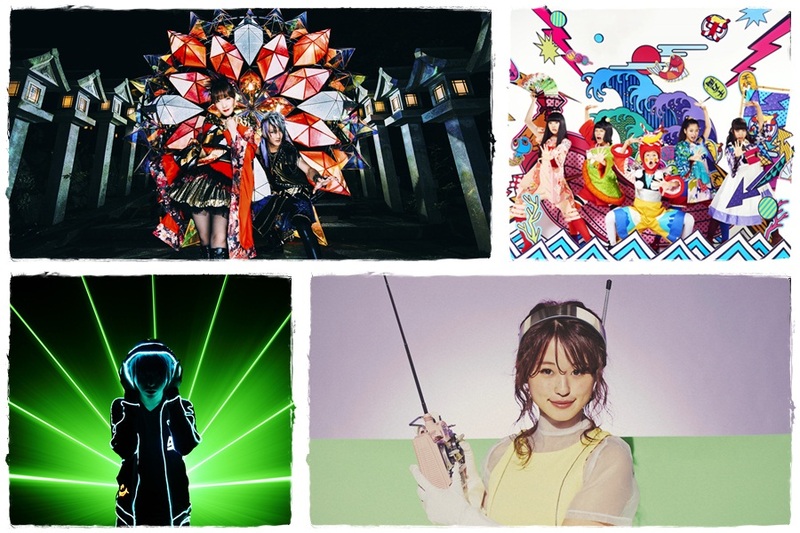 Apart from angela, other performers include Jpop dance group TEMPURA KIDZ whose single “Strobe” is used as the ending theme for the anime “Chō Soku Henkei Gyrozetter”, Japanese remixer and DJ Ram Rider who is also the producer for TEMPURA KIDZ, and lastly model-turned-singer Anna Yano who sings the theme songs of “Mahou Shoujo Taisen” and “Stella Jogakuin Koutou-ka C³-bu”. 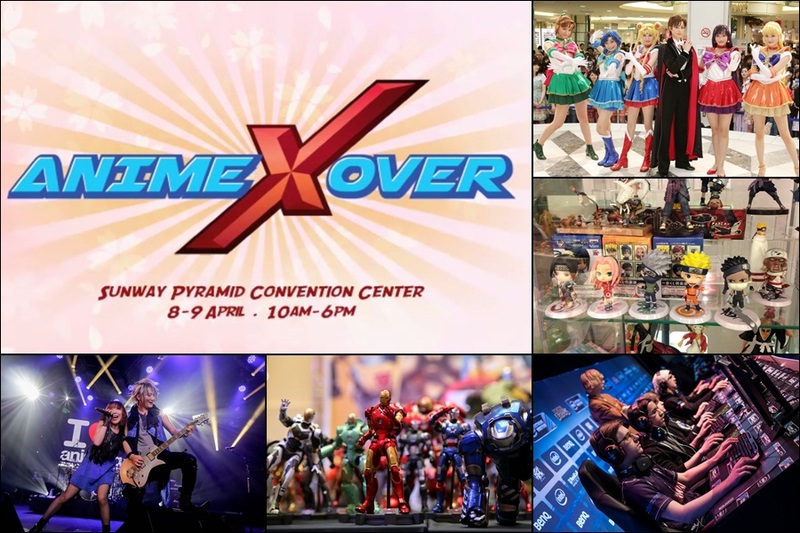 AnimeXover is also set to feature e-sports and cosplay competition for both gamers and cosplayers, respectively. The games included at the event are Counter-Strike: Global Offensive (CSGO) and Dota 2 where participants can stand a chance to win RM3,000 cash prize! Meanwhile, the Cosplay Competition will also reward cash prizes of RM2,000, RM1,000, and RM500 to the one with the best costumes! There will also be an exhibition of anime figurines and models from over 30 booths at AnimeXover, featuring the likes of Marvel and DC superheroes, Star Wars characters and more! For more information, visit AnimeXover Facebook.